THURSDAY, Sept. 18, 2014 (HealthDay News) -- Older people become more physically vulnerable during bereavement, new research shows. That's because the balance of stress hormones during bereavement changes with age, British researchers say. As a result, older people who are grieving are more likely to have weakened immune systems and develop infections, the study found. "During the difficult weeks and months after loss, we can suffer from reduced neutrophil function. Neutrophils are the most abundant type of white blood cell and as such are essential at combating infections and illness, so we become vulnerable when this happens," Dr. Anna Phillips, a reader in behavioral medicine at the University of Birmingham, said in a university news release. There is a link between neutrophil function and the balance of stress hormones, the study authors noted. Two stress hormones respond differently to grief with age: cortisol and dehydroepiandrosterone sulphate (DHEAS). The study authors said that their research, published online recently in Immunity and Ageing, is the first to compare the relationship between stress hormones and immune function across different generations. The study involved adults who were coping with the loss of a spouse or close family member. For younger people, the ratio of these two stress hormones was more balanced. 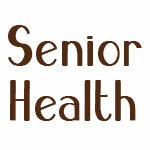 For older people, however, the ratio was much higher, the research revealed. "The effects of loss are poorly understood on the whole -- we know that it affects the immune system amongst other things -- but we don't fully understand the role played by our stress hormones," said Phillips. "We hope that this is a step towards that understanding, and being able to provide the best possible support." Study co-author Janet Lord, a professor of immune cell biology at the University of Birmingham, added that "cortisol is known to suppress elements of the immune system during times of high stress, so having an unbalanced ratio of cortisol and DHEAS is going to affect how able we are to ward off illness and infection when grieving." However, Lord pointed out in the news release, cortisol "is also incredibly useful -- particularly in activating some anti-stress and anti-inflammation pathways -- so it's not as simple as trying to suppress the cortisol in vulnerable people." Possible treatments for those at increased risk of stress are hormonal supplements and similar products, the researchers suggested. But Phillips concluded, "there is, quite simply, no substitute for a strong support network of family and friends to help manage the risks during a period of grieving."